This article has been republished with the kind permission of Search for Common Ground. 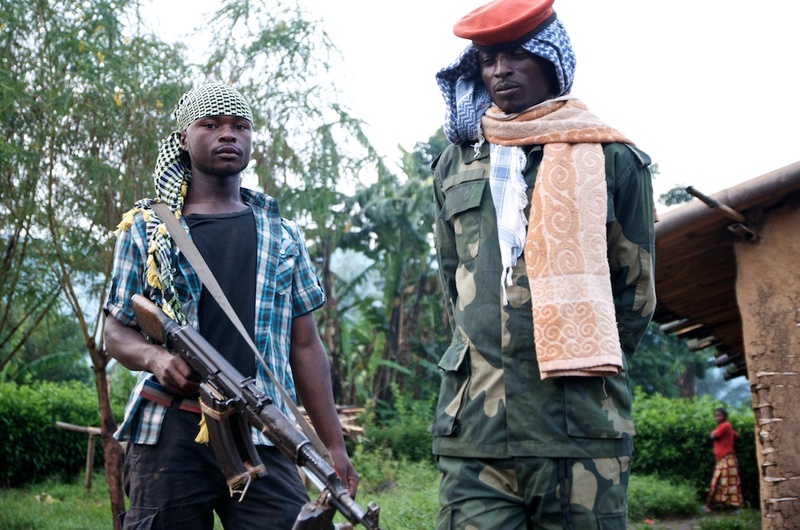 With a few hundred men, the APCLS is one of the numerous armed groups who undermine the authority of the Congolese State in North Kivu, without even being the most detrimental within the province. The APCLS brings together people who are unhappy about previous peace processes and who say that they ‘are defending the integrity of the national territory against all aggression from outside’; a responsibility which should be exclusively the preserve of the national army. The APCLS sets itself up as a fervent enemy of M23, and of the CNDP before that; these are groups whose support from Rwanda (and Uganda) has been widely documented. Called diehards by some, the APCLS commanders have always refused any compromise with their enemies in different peace process negotiations. They deliberately have a strong anti-Rwandan and anti-Tutsi rhetoric which often makes them sound like radical extremists. Local Voices spent several weeks in the Lukweti and Nyabiondo villages in the Masisi territory, zones which are under the group’s control. 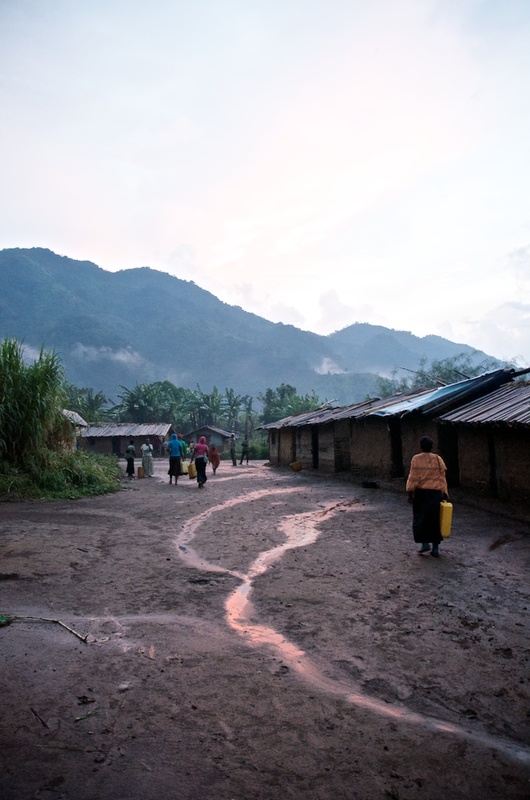 Lukweti is a small village with several hundred inhabitants, enclosed by the mountains and forests in the north west of the Masisi territory, a few hundred kilometres north of Goma. It is a hot and humid place: it rains every day in Lukweti, a strong tropical rain which turns the whole village into a huge muddy and slippery playing field. There are no great riches in Lukweti; unlike many other places in North Kivu, there is no gold nor any precious minerals. A farming town, the village economy is effectively based on the production of a local banana-based spirit, known in the area as kasusu. It is a strong alcohol, over 40% proof. This being the case, the villagers and members of the militia can often be found wandering the streets of Lukweti, drunk. It is this village where, having been without an FARDC (Congolese army) military presence for a long time, the self-proclaimed ‘General’ Janvier Karairi set up, in 2006-7, the headquarters for the group which would later become the APCLS, the People’s Alliance for Free and Sovereign Congo (previously known as the Patriotic Alliance for Free and Sovereign Congo). About two hours on foot from the village, Janvier set up his General’s quarters at the top of a mountain renamed, at the time, ‘Mount Sinai’. Janvier is a strong believer and willingly presents himself as a sort of new Moses. Wherever he goes, his Bible goes too. One day a week, he shuts himself away to pray and seek ‘guidance’ from the Almighty. He is often surrounded by ‘intercessors’, priests who, according to him, help him to ‘fathom the ways of the Lord’. This is a very paradoxically Christian way to justify a deadly armed struggle. The ‘General’ Janvier started his fight over twenty years ago. In 1989 he was the President of the Hunde youth within the Bashali chefferie, in Kitchanga, which was his home town in the Masisi territory. The youth group quickly took on the name of ‘Wakombozi’, the ‘liberators’. It was in this position that Janvier played a big role in the interethnic confrontations which flared up Masisi in 1993. He became a member of Laurent-Désiré Kabila’s AFDL in 1996 and aligned himself with the Maï-Maï when, two years later, the RCD war broke out. 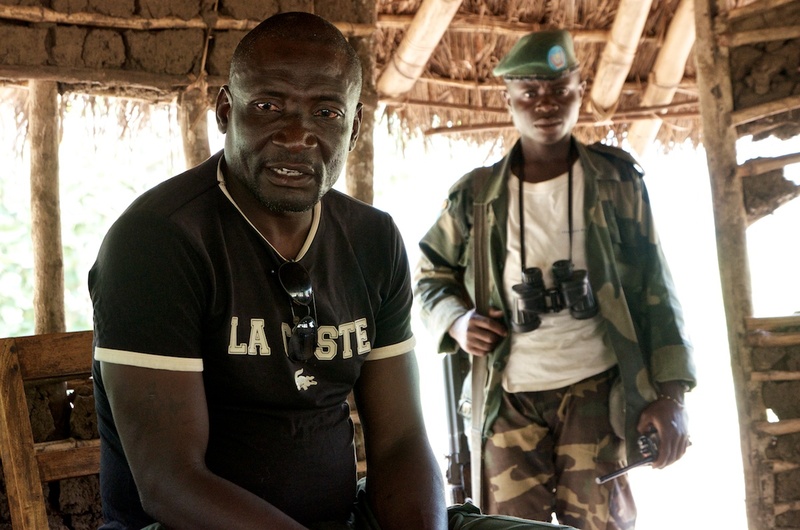 When the Peace Agreements were signed and the different rebel movements were starting to be ‘mixed’ into a new national army in 2003-4, Janvier went to the ‘mixing centre’ in Mushaki. He would not stay there long. Whilst taking part in the officers’ training, he had the impression that the exercises were really trying to promote the former RCD rebels over the men from the Maï-Maï groups. Worried about joining a national army influenced by Rwanda and, doubtlessly frustrated for not having been sufficiently ‘compensated’ for his support for Kabila Père (the Elder Kabila), he deserted. 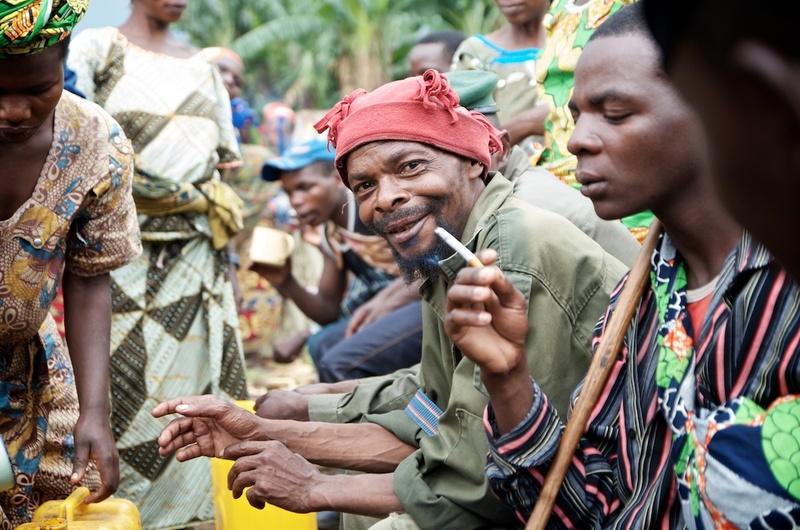 With other disenfranchised individuals, he set up a first group in Bweremana, on the shores of Lake Kivu, before falling back towards Nyabiondo and Lukweti, in the harder-to-reach mountains. We met Janvier in a dilapidated school in the Kinyumba village, between Nyabiondo and Lukweti, where he explained to us what had motivated him to set up the APCLS; ‘Since we felt that our country had been overrun by foreigners, we felt obliged to find ways and means to free the country. We are convinced that it is our patriotic duty to save our country. We are carrying out this fight through following the spirit of the National Constitution. In articles 63 and 64, the Constitution exhorts all the Congolese people to defend the sovereignty and the integrity of Congo when our country is under attack. This is what pushed us to create our movement. We are not the enemies of the country, but its sons and, as such, we have the right to defend our sovereignty, our independence and to be well treated. This means that we have been in the bush for a long time now, but we know that, with God’s help, we will manage to free our country from the hands of foreigners’. The people whom Janvier and his officers call ‘foreigners’ are, predominantly, the M23 soldiers (and before them, soldiers from the CNDP and the RCD). 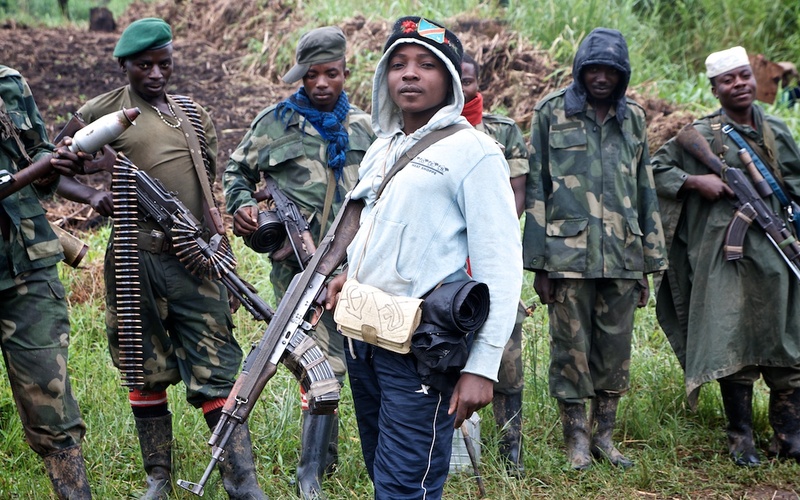 The M23 are the rebel group whose officers are Congolese Tutsis but who, according to several UN reports, benefit from direct support from Rwanda and Uganda to carry out their armed struggle. Using the particularly ambiguous term of ‘foreigners’, or, more explicitly ‘Rwandans’, the APCLS commanders’ rhetoric directly makes the link to an old and dangerous debate on the nationality of the Congolese Hutus and Tutsis. Through invoking this particularly sensitive debate and undermining the Congolese nationality of these populations, the aim is to deny them all civil, political and economic rights within the DRC. This idea was part of the origins of the ethnic violence in the 1960s and the 1990s in Masisi and still finds favour today with the non-Rwandophone communities, including the Hunde. In fact, the similarity of the rhetoric and the concerns between the APCLS officers and key people in the Hunde community is often striking. ‘Through the APCLS we are free to keep our customs and to go to our fields, until such time as there are foreigners who come here to help themselves to our land and steal our power’ explains one of the Lukweti leaders. His condemnatory discourse replicates the deeply held fears at the heart of the Hunde community. 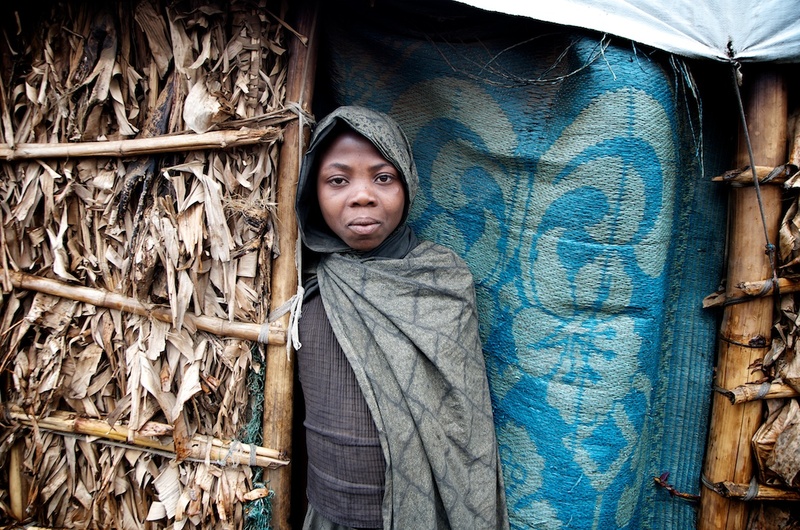 Throughout its history, the Hunde community has effectively seen its economic and political power decrease, taken over by the Hutu and Tutsi communities who arrived in the area later. The recent wars have contributed to an increase in the tensions which existed between the communities. Today each community seems to perceive the other as a genuine threat to its own interests, even to its existence. There is a feeling of fear due to the presence of armed groups who are drawn up on ethnic lines and the absence of an effective national army which is capable of protecting all the Congolese citizens. For these reasons, the APCLS is often seen as a group which is defending the Hunde community alone, despite its insistence of calling itself a movement of ‘National Liberation’. Janvier himself is Hunde, most of his men are Hunde and the group occupy zones which are mostly lived in by Hunde. The APCLS officers and the Hunde leaders do their best to avoid attributing tribal motivations to the APCLS’ actions. One of the Hunde leaders demonstrates this point by saying ‘Janvier is not here to defend the Hunde, but the physical integrity of the entire DRC’. One of the other members of the community barza (the meeting place for the Elders) in Lukweti affirms ‘Janvier did not consult the Hunde traditional leaders before setting up his movement. He did not ask anything of anyone about whether he could come and settle here in Lukweti’. It might be reductive to present the armed groups as simple products of the local communities, but it would also be wrong to deny their ethnic bent and the links which can exist between the militiamen and their respective community. The APCLS, like the other armed groups, is no exception to this rule, despite its rhetoric of national liberation which certain groups use to establish their legitimacy. Whilst setting up their movement, Janvier and his men had to nevertheless take care to win the local population over to their cause. As a way of doing this, the political leaders within the APCLS organized information sharing sessions and meetings with all levels of society: leaders, heads of civil society, and teachers, right down to the youth and even the small scale farmers. A local dignitary from the Hunde community explains that ‘in the beginning the Movement needed to convince the population about its legitimacy so that it could evolve’. Another inhabitant of Nyabiondo adds ‘And the people understood!’ It was through this that many young people, often unemployed, became members of the militia, sometimes acting directly on the advice of the local leaders. Gaining the support of the local population is not to be taken lightly by a group like the APCLS. It is a highly strategic action. One of the officers in the movement tells us ‘the main strength of the APCLS is the population’. Certainly it is the villagers who feed the militias. Every week in Lukweti the traditional leaders collect food stuffs from each household in the village, mostly manioc flour, as part of a programme designed by the APCLS officer in charge of civil and military relations and the traditional leaders. Nyabiondo, Masisi territory, August 2013. The APCLS ‘protection’ has obviously got a cost for the population. To maintain order amongst his troops, ‘General’ Janvier does not hesitate to punish troublemakers with beatings or days of imprisonment. He even uses the underground prison, a hole the size of a grave into which you can force several soldiers at once to crouch for 15, 20 or 30 minutes; unable to move, they come out almost asphyxiated. Given the punishments meted out to the wrongdoers, the militiamen seem to behave. ‘We have rules of conduct that the men have to follow’ confirms Janvier. ‘We have a whole series of measures which are taken for those who commit violations: they get punished in relation to what they have done. Once you have responsibility for a whole group, you cannot allow yourself to have undisciplined men amongst them’. These measures do not, however, always prevent problems from arising between the civilians and the soldiers. The Lukweti leaders are used to saying ‘where there are men, there are no shortage of problems’. In a town like Lukweti, where banana alcohol production is the main source of income, the civilians and the soldiers get drunk often, if not every day. At nightfall, as in plain daylight, it is common to find drunk soldiers walking through the village, with Kalashnikovs slung over their shoulders. As soon as the militia carry out attacks in the ‘enemy’ zones, the APCLS disciplinary measures cease to matter. In those situations, the rule seems to be to take as much as possible; ‘as we don’t have a salary, it’s only through attacking the enemy that we can hope to get something’ admits a member of the militia, meaning that they normally pillage the goods from the civilian population where they are carrying out their operations. Thus we can see APCLS militia returning from the frontline with a new radio, or other valuable objects, fruits of their labour. Moreover this is common practice amongst the armed groups in the area. Despite the rhetoric around the discipline shown by the APCLS members, it is clear that this group’s behaviour, like that of all the other militia in North Kivu, is far from irreproachable in its demands on the civilian population. The APCLS speeches about the discipline of its militia cannot hide another truth for long; the fact that the APCLS is a real threat to the security of civilians, through its attacks against the other armed groups in the surrounding area. The APCLS engages in military operations which strike hard against the civilians in the areas being attacked, and also expose the population in the APCLS held areas to reprisals by enemy groups, which can often be fatal. 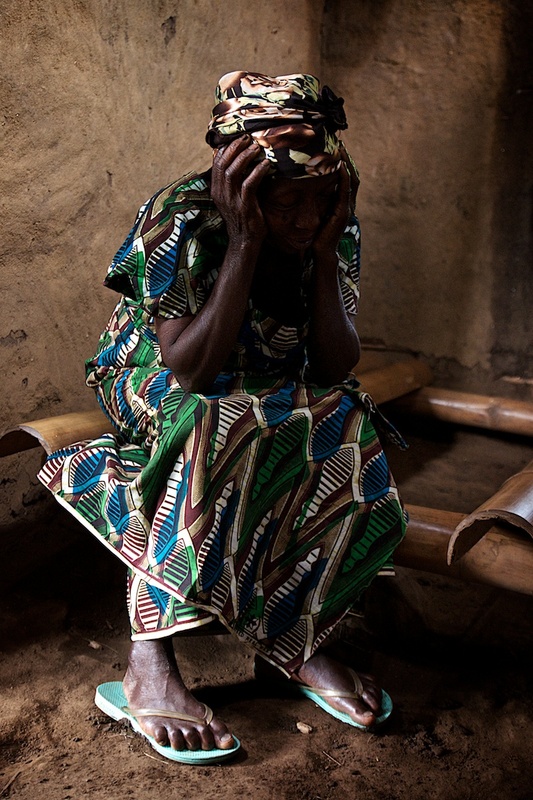 The civilians are regularly caught in crossfire and often have to flee into the forest. The primary school principal for Lukweti tells us that ‘in 2012 we spent the entire year in the forest. We were forced to teach in straw huts! It’s only in 2013 that we were able to return to Lukweti’. As a member of the militia passes by, the school teacher does not forget to say ‘thanks to the intervention of General Janvier, and his patriotism’. The APCLS is surrounded by at least four other armed groups: the FARDC National Army; the Maï-Maï Cheka (Nyanga) in the Walikale territory; the FDLR (Rwandan Hutu rebels, including some former génocidaires) and the Nyatura (Congolese Hutus). MAC, another Hunde armed group who stand against the APCLS and often ally with the Cheka, could also be added to this list. Currently the APCLS is on good terms with some of the groups (FARDC, Nyatura and FDLR), whilst they are fighting with the others (FARDC in the past, Cheka and MAC today). The relationships between the groups are unstable and can change easily; it is common to go back on alliances as they are often based on short term interests. Since 2010, the APCLS has been at daggers drawn with the Maï-Maï Cheka, an armed group from Walikale who are linked to the Nyanga community. The two groups clash regularly in the Pinga area, on the border between Masisi and Walikale, and are disputing the control of the location, as well as the large mineral resources found in Walikale. Along with many Nyanga leaders, Cheka blames Janvier for having ‘colonised’ Walikale. One of the Nyanga leaders, based in Goma, tells us that ‘Janvier is collaborating with the FDLR in order to reclaim parts of the Walikale territory and exploit our mineral resources. 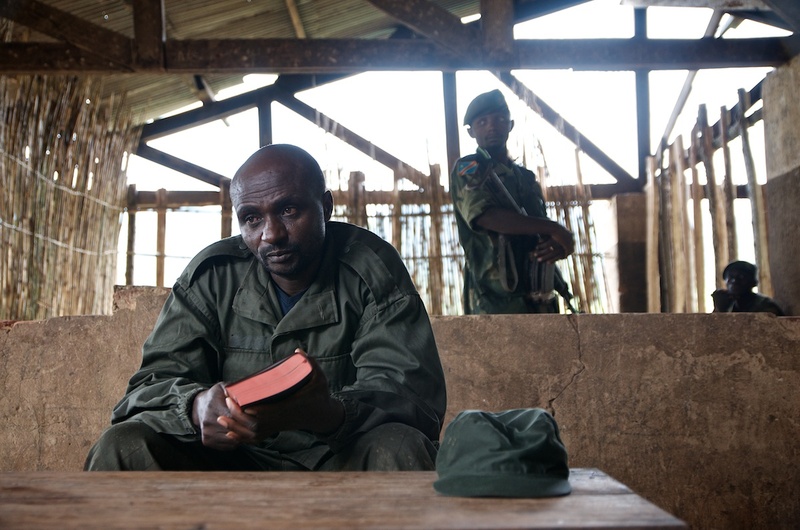 This is why Cheka formed a barrier between the FDLR and APCLS’. 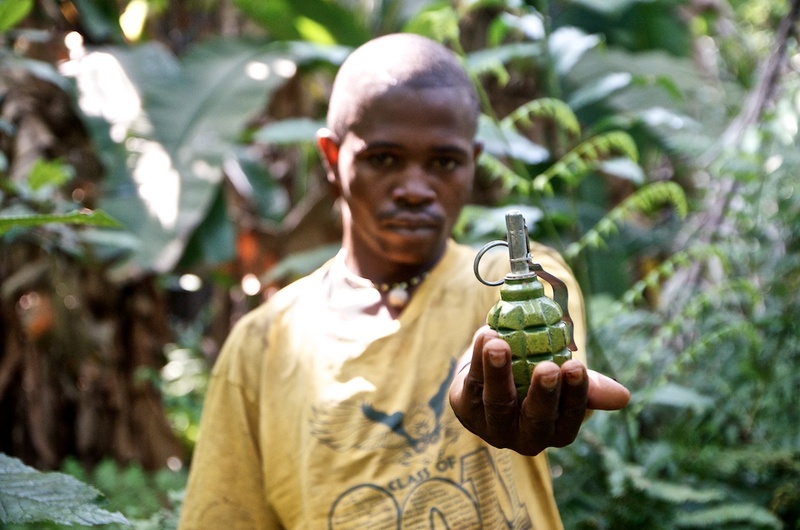 Despite the numerous demands that his group make of civilians, Cheka has developed a reputation as a ‘liberator’ within his community for driving out the FDLR who controlled the mines for many years and generally set themselves up as the masters of the land in Walikale. Cheka also asked Janvier to break his allegiance with the FDLR in order to drive them back into Masisi, but Janvier refused. On his side, Janvier accuses Cheka of collaborating with M23 and bringing a pro-Rwandan agenda into North Kivu. The APCLS commander confirms ‘since Cheka started working with M23 we knew from then that he should be considered as dangerous; not only for the APCLS, but for the Congolese people’. The relationship between the APCLS and the Nyatura militiamen are also ambiguous, wavering between a sort of co-existence, even collaboration, and intermittent clashes. At the beginning of 2013, a roundtable for peace and peaceful co-existence was organized in the parish of Masisi. This came out of the violence between militias which led to many tens of villages catching fire in Masisi. During the roundtable talks, the APCLS and the Nyatura agreed not to fight each other anymore. This resolution was followed by some efforts, but they broke down over time. In October 2013, for example, the two groups clashed again, whilst elsewhere, near Pingu, they continue to collaborate (as well as with the FDLR) in order to fight against parts of Cheka’s militia. ‘The collaboration between Nyatura and APCLS is not sustainable!’ said the young Hutus that we met in Lushebere. ‘Even if it means the situation is calm for a while, the whole agreement is based on a strong dose of hypocrisy. The problem is that the armed groups are tribal….’ Another part of the issue is the armed groups’ lack of command structure. A number of groups, like the Nyatura, are made of many small groups who report to different commanders and act more or less autonomously from each other. These allegiances, counter-allegiances and relentless confrontations make the security situation confusing and hard to unravel, as well as causing the unbearable damage inflicted on the civilian population which affects all of the communities. Moreover, they are reinforcing the hatred and enmity between the ethnic groups. 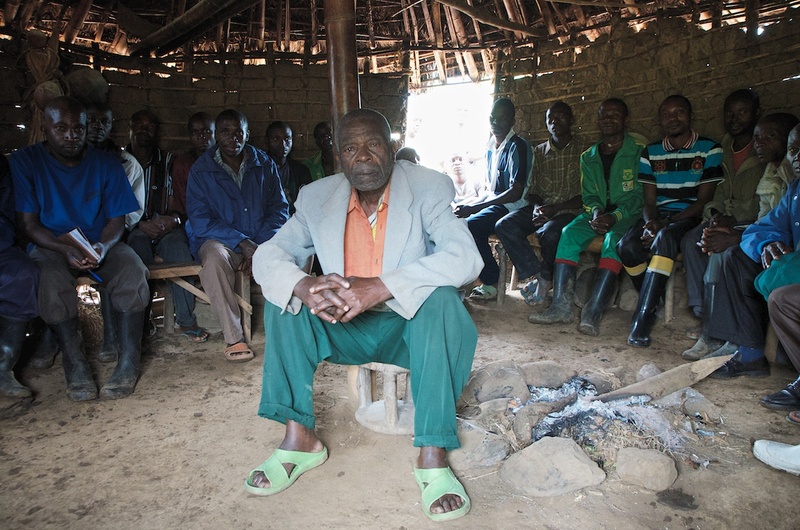 One of the Tutsi community leaders, now based in Goma, but formerly a Masisi territory administrator in the 1990s, sums it up well ‘the tragedy of Masisi is that the armed groups, supposedly created to defend their communities, have become the same armed groups who are now killing their own communities’. Even if ‘General’ Janvier was himself in favour of the principle of integrating into the FARDC, the conditions which he has set have, until now, prevented several efforts to succeed in this endeavor. Moreover, his words demonstrate his lack of trust in the FARDC, since the army is a mix of former rebels, among whom are those that he would still consider today as his enemies. He says ‘we are ready to unite with the FARDC to fight with them against the forces coming from outside of the country. What we will not accept is the infiltration into the heart of the FARDC by people who have come from Rwanda. We think that the FARDC are currently having problems because they are fighting against the same people (parts of M23) whom they also have within their own ranks. That is the problem with the FARDC’. What we will not accept is the infiltration into the heart of the FARDC by people who have come from Rwanda. 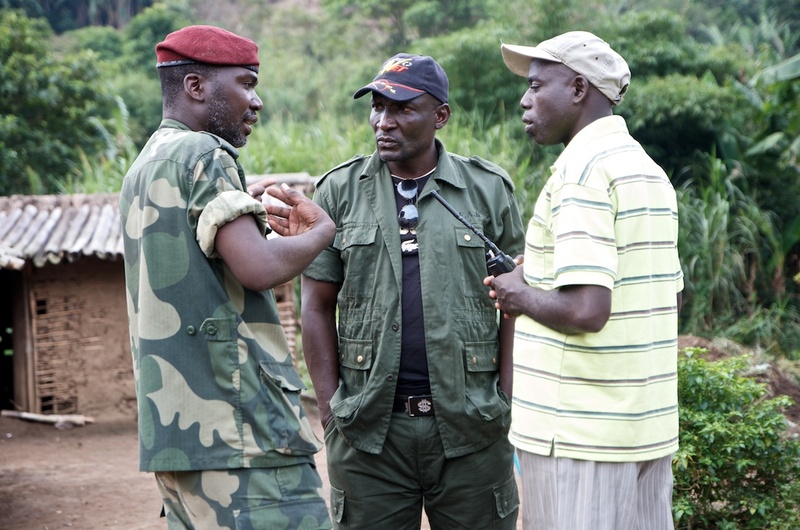 Janvier is not the only person to mistrust the FARDC. Some members of the local population also seem to find it hard to believe that the national army could really protect them, which is one of the reasons why they often support the armed group of the same ethnicity as themselves. The female activists for peace in Nyabiondo confirm this view, as one of them says ‘If we could integrate our children from the APCLS into the national army, we would ask them not to directly deploy them elsewhere, so that they could still continue to guard this area for a fixed period. We are afraid that our enemies would make the most of the opportunity to attack us again, we, the civilian population, and that makes us worry!’ One reason for wanting the APCLS to integrate into the army is, first and foremost, so that they will not have to donate food to the militia anymore rather than to see them leave the area. Since the military victory of the FARDC over M23 in November 2013, a new window of opportunity seems to have opened for negotiations over the disbanding of the other armed groups, and particularly, the APCLS, for whom the disappearance of M23 (at least for now) was one of their main reasons for existing. However this window is unlikely to be enough to, definitely and sustainably, resolve the issue. 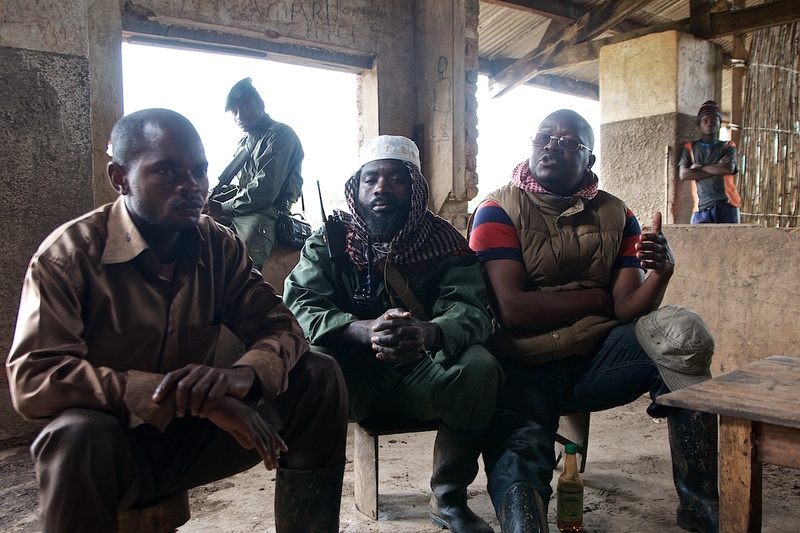 Even without M23, the armed groups have an uncanny ability to sustain each other, as each group refuses to put down its weapons if the others are not also disarming. 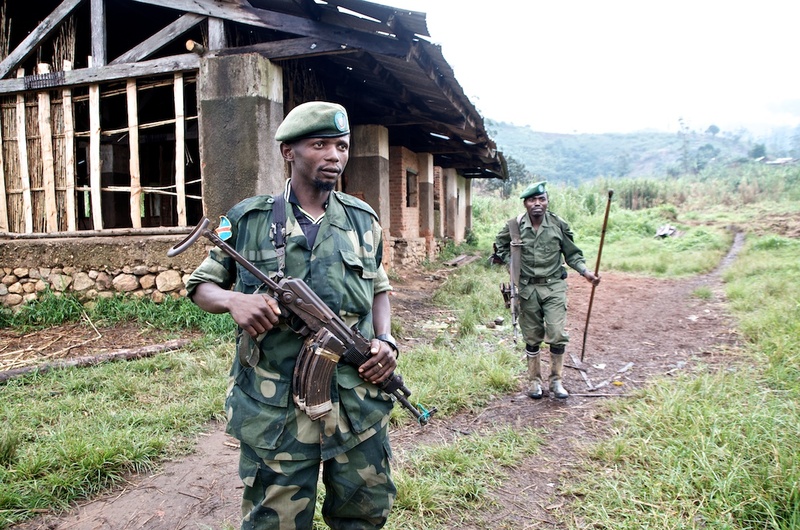 Many of them, controlling large local resources, have no interest in disbanding, without even mentioning the issue of the FDLR which will also block the process. The military option, which the authorities are proposing to resolve the problem of the FDLR and the other rebel groups, is far from being a guaranteed success. Beyond dealing with the army, building the trust between the Republic’s institutions and the Congolese people has to remain the cornerstone of any sustainable solution to the phenomenon of armed groups in Eastern Congo. This trust depends on the leaders’ abilities, at all levels, to take up their responsibilities in the context of a country which, for the large part, remains to be built. A peace activist from Masisi summarizes ‘All our problems came from bad governance. Here we have managed to make corruption into an official culture. 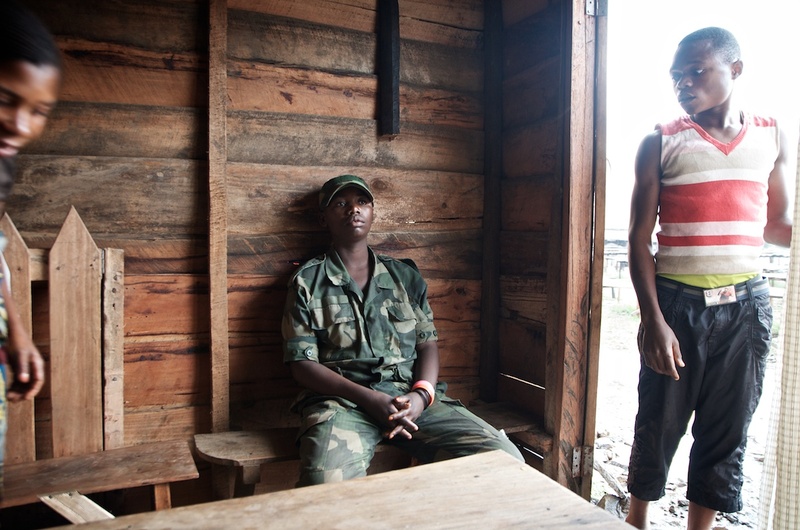 Article 15 – ‘be resourceful’ – is completely integrated into the minds of the Congolese. When elections are organized, the practice of giving gifts means that we vote for criminals’. This challenge to change mentalities, governance practices and the institutions themselves will not happen overnight, but can only happen in the medium to long term. If, and only if, the political will is there. Disclaimer: Many of the witness statements used in this article come from APCLS militiamen or civilians who share their daily existence with the APCLS militia. Their words clearly demonstrate a strong adherence to the ideology and the rhetoric of this particular armed group; whether voluntarily or coerced. We therefore ask our readers to read some of the accounts herein with a critical eye. Local Voices, International Alert and Search for Common Ground do not agree with nor share the opinions held by the different people who speak out in this article. However it seems important to us to publish these statements in order to better grasp the sometimes radical, and extreme, points of view, positions and understanding of these local actors, as, without this, no viable peace process would be able to take place.